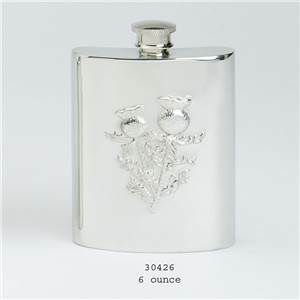 hip flasks iwth a Scottish theme in pewter or stainless steel. 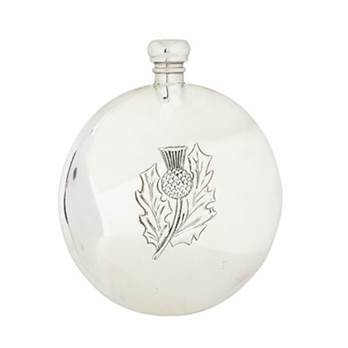 Traditional Hip Flasks with a Scottish Theme. 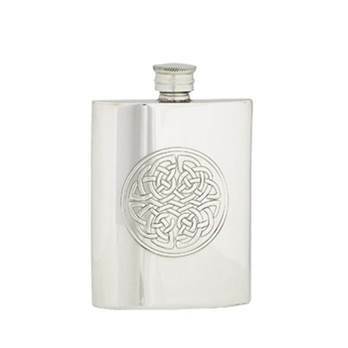 Designs feature Tartan, Celtic Knots, Saltire and Stags. 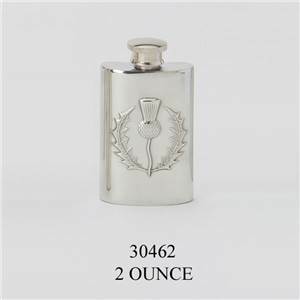 Pewter Hip Flask 2oz Thistle Design - EBP-30462 by Edwin Blyde. 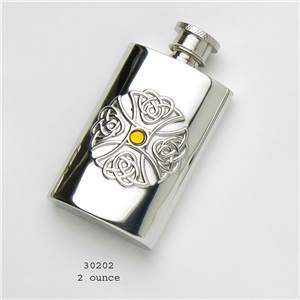 Pewter Hip Flask 2oz Celtic Cross Design with Topaz Inlay - EBP-30202 by Edwin Blyde. 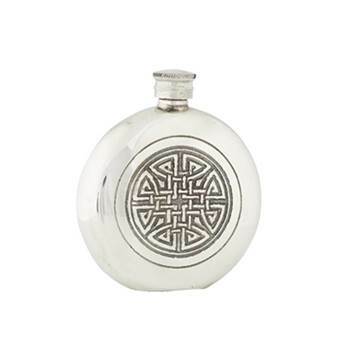 Pewter Hip Flask 4oz Celtic Wire Design - EBP-30174 by Edwin Blyde. 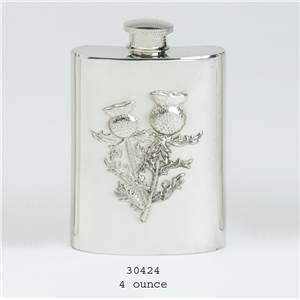 Pewter Hip Flask 4oz Stamped Thistle Scene - EBP-30424 by Edwin Blyde. 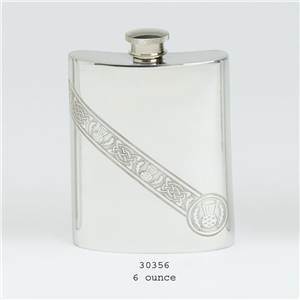 Pewter Hip Flask 6oz Celtic Wire Design - EBP-30176 by Edwin Blyde. 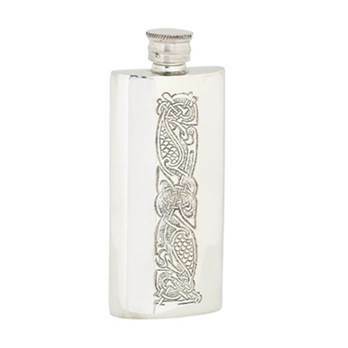 Pewter Hip Flask 6oz Celtic Design Casting Imlay - EBP-30336 by Edwin Blyde. 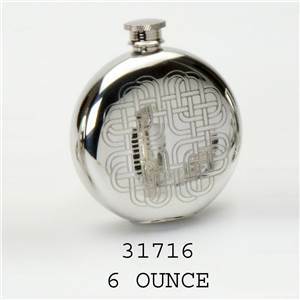 Pewter Hip Flask 6oz Celtic Thistle Wire Design - EBP-30356 by Edwin Blyde. 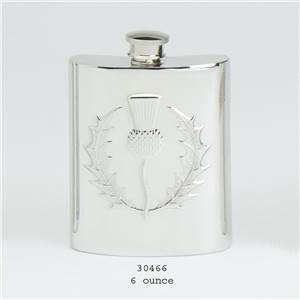 Pewter Hip Flask 6oz Stamped Thistle Scene - EBP-30426 by Edwin Blyde. 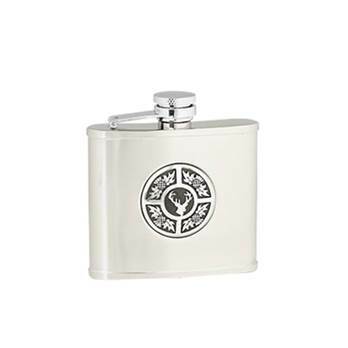 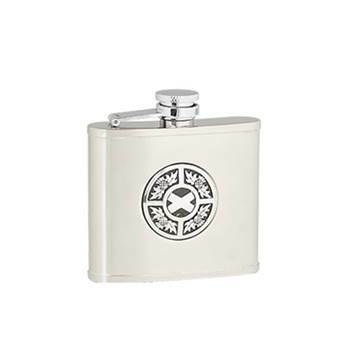 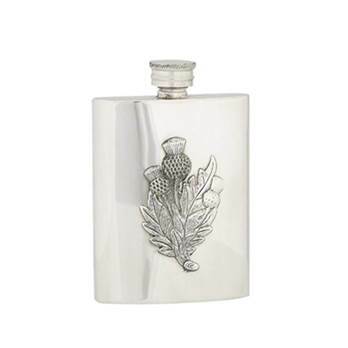 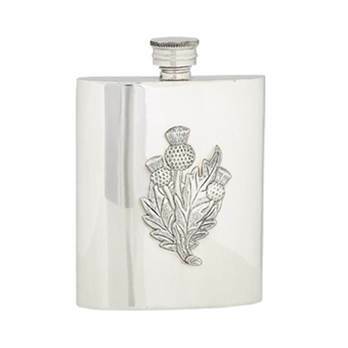 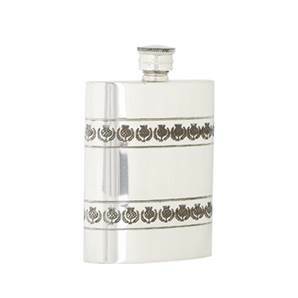 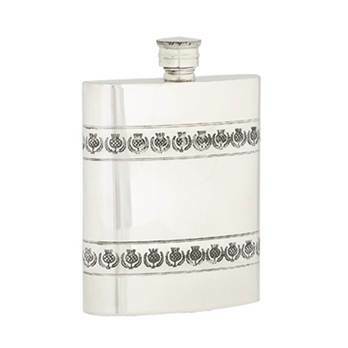 Pewter Hip Flask 6oz Thistle Design - EBP-30466 by Edwin Blyde. 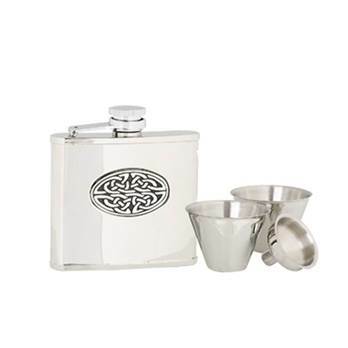 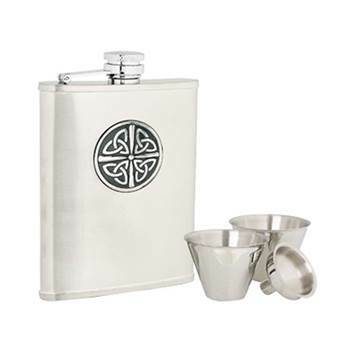 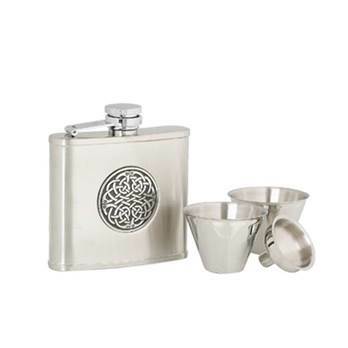 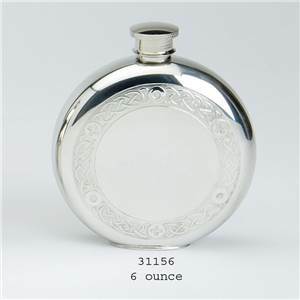 Pewter Flask 6oz Round with Celtic Scroll Design with Base Rim - EBP-31116 by Edwin Blyde. 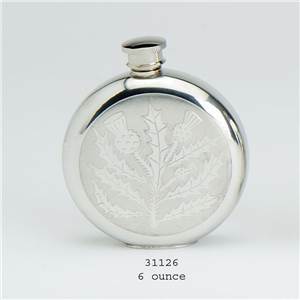 Pewter Flask 6oz Round with Thistle Scene - EBP-31426 by Edwin Blyde. 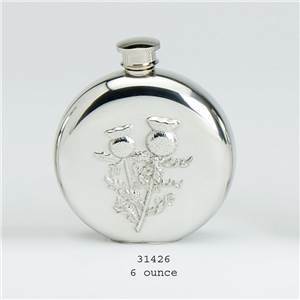 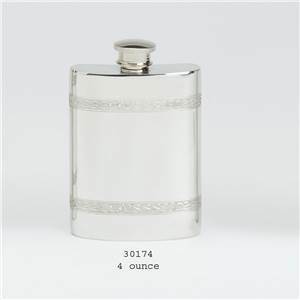 Pewter Flask 6oz Round with Thistle Design - EBP-31466 by Edwin Blyde. 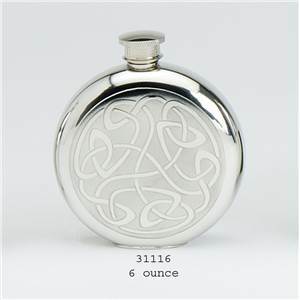 Pewter Flask 6oz Round with Celtic Interlace Design - EBP-31516 by Edwin Blyde. 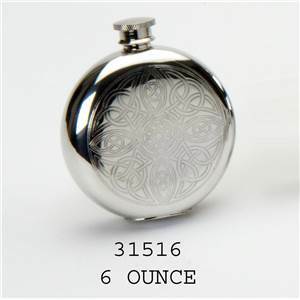 Pewter Flask 6oz Round with Celtic Thistle Design - EBP-31556 by Edwin Blyde. 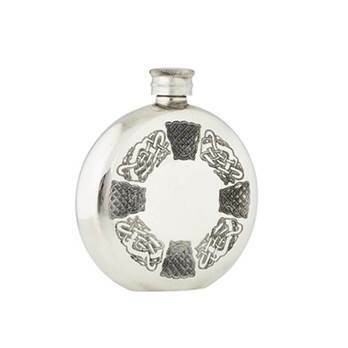 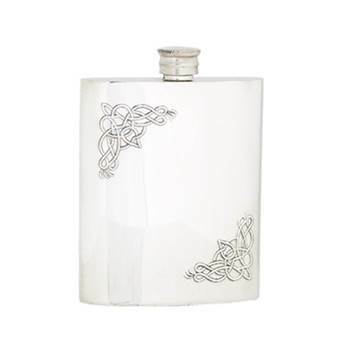 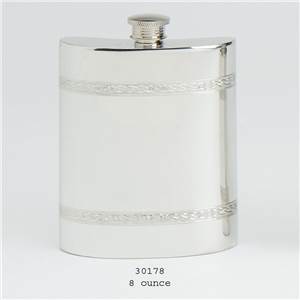 Pewter Flask 6oz Round with Celtic Rope Insert Design - EBP-31616 by Edwin Blyde. 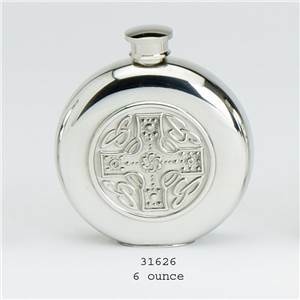 Pewter Flask 6oz Round with Celtic Cross Insert Design - EBP-31626 by Edwin Blyde. 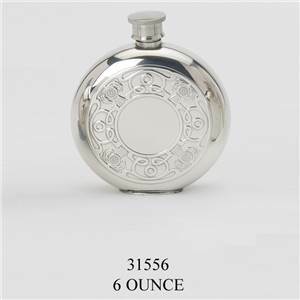 Pewter Flask 6oz Round with Celtic Heart Design - EBP-31716 by Edwin Blyde. 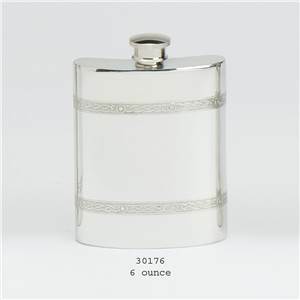 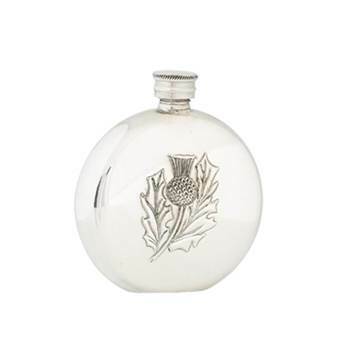 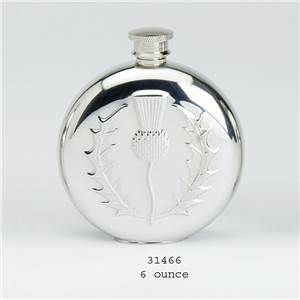 Pewter Flask 6oz Round with Classic Thistle Design with Base Rim - EBP-31126 by Edwin Blyde. 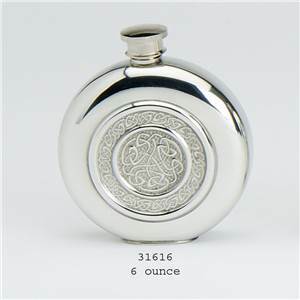 Pewter Flask 6oz Round with Classic Celtic Wire Design with Base Rim - EBP-31156 by Edwin Blyde. 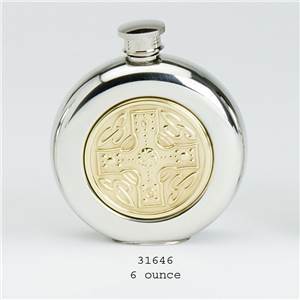 Pewter Flask 6oz Round with Brass Insert & Celtic Cross Design - EBP-31646 by Edwin Blyde. 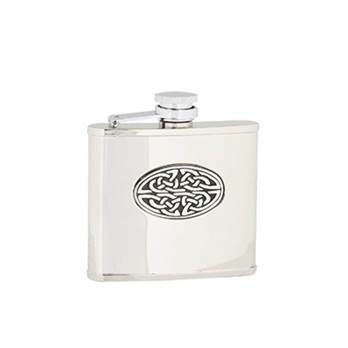 Pewter Hip Flask 8oz Celtic Wire Design - EBP-30178 by Edwin Blyde.